There’s trouble afoot in Fairyland! Jack Frost has stolen the Weather Fairies’ magic feathers, and now it’s snowing in summer. The Queen of the Fairies needs Rachel and Kirsty’s help. 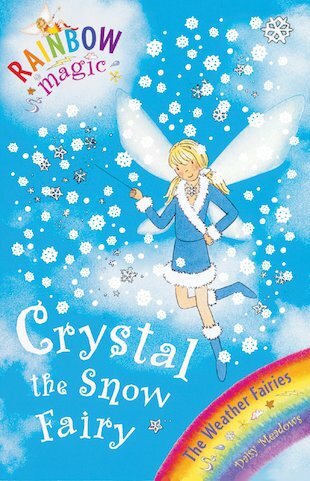 The girls know that Crystal’s precious snow feather is nearby… but can they persuade the mean goblins to give it back? Crystal makes sure it snows when it needs to. It all started when Rachel Walker and her Mum were driving home in the car with the groceries. Rachel thought of letting her best friend, Kirsty Tate, come over for the week.Till now I have read till this. I love the Snow and I love this book. Really Good!